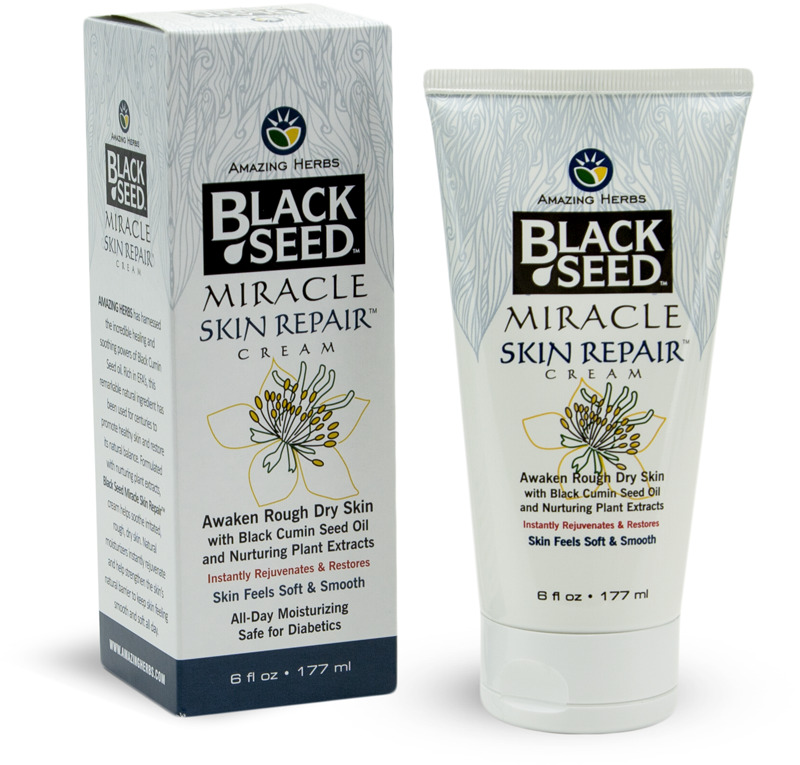 6oz (177ml) — Amazing Herbs has harnessed the incredible healing and soothing powers of Black Cumin Seed oil. Rich in EFA's, this remarkable natural ingredient has been used for centuries to promote healthy skin and restore its natural balance. 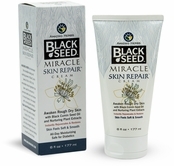 Formulated with nurturing plant extracts, Black Seed Miracle Skin Repair™ cream helps soothe irratated, rough, dry skin. Natural moisturizers instantly rejuvenate and help strengthen the skin's natural barrier to keep skin feeling smooth and soft all day.